Veteran's day is this weekend and today's song post is a song about Veteran's day. Whether you are for or against war, we are all very fortunate to have people serving in the military willing to protect us and our country. I wrote this song below so students could say, "Thank You" to any and all veterans for their service. In some of the classrooms, we incorporate sign language for the word, "Thank you" and the students sign every time we sing/hear that phrase. Today's post is the final post for my Back to School Batch series. If you've missed any of the 7 songs included in this series, you can find them under the label, Back to School Batch, or just keep scrolling down under this post. The song I'm posting today is about the shape of a circle. Many teachers and therapists everywhere go over shapes practically all year long. It takes a lot of teaching, reviewing, and application of using and interacting with shapes in order for many of our special learners to understand their similarities and differences. Basically, a circle is a shape. We know that it is round. It doesn't have corners or sides, like other shapes we see. So, I wrote this song to reinforce all those attributes of a circle. I've used this song in many different ways. First, you can use the song and students can draw/trace circles. You can have students sit in a circle and all have maracas or egg shakers. Students can shake to the beat, and when you think they're ready, you could try having them shake for three beats, then pass to friend on their right. You can use a parachute and while all students are holding onto the parachute, everyone can move in a circle (this might be a good warm up to get everyone focusing on following directions, working together,etc..). Also, it's very easy to hand out scarves and have students move their scarves in circular motions. What other activities would you incorporate with this song? Stay tuned for more song posts here on More with Music! I'm so glad it's fall! Cooler weather, low humidity, leaves changing colors and bright, sunshiny days can stay around all year as far as I'm concerned. Today's post is about fall and the leaves that fall down from trees during this season. I love to sing this song during the fall season for a couple of reasons. The first reason is that the students absolutely love to sing this song and the repetitive lyrics make it easier for them to participate from the beginning. The second reason is that you can incorporate color identification and communication so easily within this song. Autumn leaves are falling down, falling down. Then the song sings about the following leaf colors: red, yellow, orange and brown. I made a visual for this song that features a tree with the different colored leaves on it (all are laminated and leaves are velcro-ed on the tree). With the more severe students I work with, our goal is to either give them opportunities to interact within the song like, "What color leaf falls down next?" (and the students would either eye gaze/point to the leaf they want. You can also give them a choice by pulling 2 different colored leaves off the tree for them to choose from. And yet another idea would be to assign leaf colors to different students and/or ask them, "Do you want a red leaf?" and let them answer Yes/No with an iTalk 2 voice output device. You can also ask questions like, "Is this leaf brown?" and possibly gauge their color identification skills like that. With other students, we use scarves and assign different colors to different students and when their color is being sung, they can move to the music as if they are fall leaves falling. Sometimes songs like this with scarves are very calming to students and help them stay focused. The possibilities are endless with communication opportunities. What are your favorite fall songs to sing? Stay tuned for more songs here at More with Music! Yesterday, I posted a song pertaining to the water cycle: "When the Raindrops Fall"
If you missed it, just scroll down below and you will find it under this post. Today's post is about the different parts of the water cycle: Evaporation, Condensation, Precipitation, Collection. I found this song online, and after changing the key, and adjusting the tempo, I formed my own version. This song is only used for educational purposes and can be shared by clicking the Download button below. When I sing this song with students, I teach them motions to go along with each part of the water cycle. Sometimes we stay in our seats, and sometimes it is great to get them up out of their seats and let them stretch within this song. 4. Falls down as Precipitation: Arms straight up, and as you bring them down, fingers "spider crawl" down in the air to mimic raindrops falling down. Here where I live in North Carolina, many elementary classrooms are talking about the water cycle. I love to sing about the water cycle with its various parts: Evaporation, Condensation, and Precipitation. With the Water Cycle, many teachers discuss each part separately, and then put them all together to create and explain the cycle. Often, I begin with songs about the rain first, because students usually have a lot of experience with that word. In many science lessons, students learn that rain makes everything wet. So, I created a song precisely about rain making everything wet, and added a few extras along the way. "The Rain Makes Everything Wet" talks about raindrops coming from the clouds above and falling on various places as it comes down: on your head, on your shoulders, on ground, and on your shoes. You can ask students to touch different places as they are sung, or you can also use a visual of a pre made picture of a child perhaps standing under a cloud and give a raindrop picture to student/students and they can put the raindrop(s) in the correct places (on the cloud, on head, on shoulders, on ground, on shoe). Either way, following directions and listening are the main goals with this activity. What are your favorite songs about the rain? Things are staying busy for me. First of all, I have decided to share song sheets by request. My focus in blogging here on More with Music is to share songs and ideas to help others. If you would like song sheets for songs you hear on this blog, please send me an email at morewithmusic@gmail.com. As always, the songs sheets are free and give you the song lyrics with the chords used for each song. Many classrooms across the country study community helpers in order to learn about different jobs in the community as well as the different roles that people have within a community. What other songs do you use to help teach community helpers? I have to admit I've wanted to post so much more than I have so far this school year, but it's been quite a busy month full of expected and unexpected things to tend to. So, while I continue to prepare the remaining posts and song sheets for The Back to School Batch, I wanted to share a song about feelings today. I've joined two different (but similar) groups on Facebook where music therapists from all over ask questions, give ideas and share advice and information regarding music therapy. It is really interesting and helpful to read their group walls as I catch up with their posts each evening. Last week on one of the Facebook group pages, a music therapist asked if anyone had additional songs/ideas to help students work on identifying emotions. There were several great ideas posted and the music therapist was already incorporating a great song with her group. 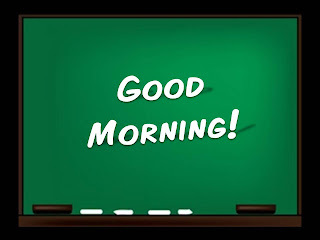 Today I want to share a windows movie I created using Google images (windows movie is used for educational use only) and a song about feelings I wrote a couple of years ago. Many of the teachers I work with use this song and video with their students as part of their school day and after they sing/watch the short movie, they ask each student how they are feeling that day. There are quite a few students that are verbal and/or nonverbal that have a very challenging time conveying their feelings to other students and their teachers. After learning to identify their feelings by name/picture, many students can learn to tell you/show you how they are feeling. The next step is to help students understand other students' feelings. Once students can do this, imagine the lessons you can teach in class...respect, empathy, tolerance,etc.. I will post the song sheet for this feelings song later this week. 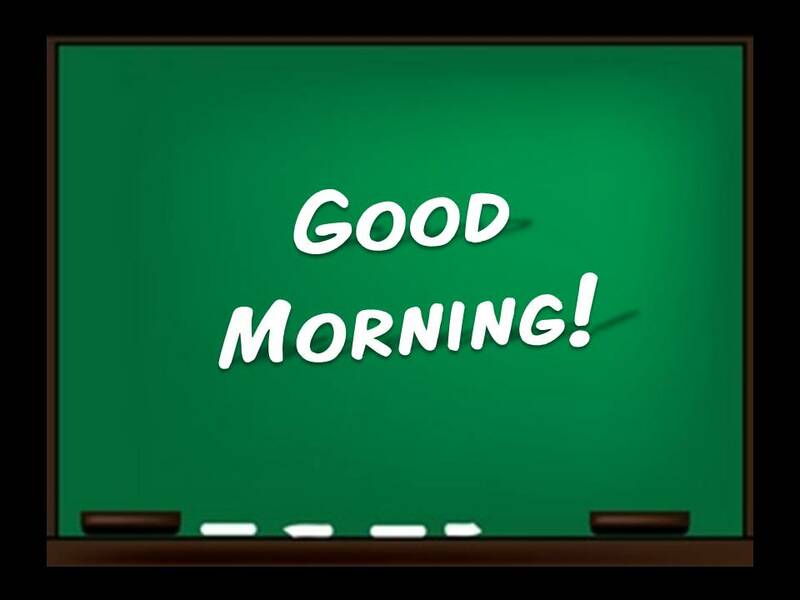 The school year is well on it's way and we're nearing the end of the first week. It's so good to see all the students as they return, and to begin to get to know the new students that have moved here and/or started school this year. I have a few more posts to share that are part of The Back to School Batch. Today I'll be adding another song to that list: Safety Signs. Safety signs are important and students see them all around town. Whether students are bus riders, car riders, or even bike riders, safety signs are everywhere, and can help keep us safe. In order to follow the safety signs, teachers must first teach the meanings of each sign and the symbols shown on each one. This song addresses several commonly used safety signs and their meanings. Stay tuned for the songs sheet for Safety Signs later this week. Students are headed back to school across the country and I'm preparing to return to working for a public school system as well. There are only two more days of "freedom" for me and I'm relishing the free time while it lasts! Today's post is part 4 of The Back to School Batch. Today's song post is "Let's learn about books". This song introduces the following book awareness components: cover, title, author and illustrator. You can actually use any book you choose and point to the individual parts of the book while the song is playing (this would be great to do before you read a book to a group or classroom to review the parts of the book). I've seen some teachers have each student select a book from their "reading corners" and while the song is playing, each student finds each part of the book with his/her own book. So, here it is: "Let's learn about books"
Stay tuned for the song sheet for this song and have a great Wednesday! Yesterday I posted another song from The Back to School Batch: "Bus Safety". If you missed it, you can listen to it by clicking here. Today I'm sharing the song sheet for that song, complete with lyrics and chords. The Back to School Batch album features a total of 8 songs for only $7! You can purchase the entire album by clicking Buy under any of the songs I feature from this album. Once you click Buy, you will be directed to my Bandcamp site where you can choose to purchase the songs you want to use individually for .99 each, or the entire album of 8 songs for only $7. Stay tuned for more song posts from The Back to School Batch! Today's post is another song featured in The Back to School Batch album. If you missed the other two recent song posts, just scroll down and you will see them and the song sheets as well. 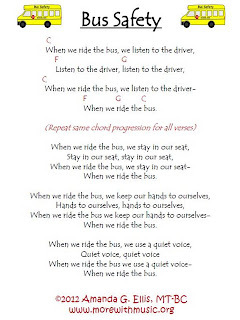 Bus Safety is a song I wrote last year that was incorporated into many morning circle times and morning group times in the K-2 classrooms I work within. One of the teachers I work with explained that her kids love singing "The Wheels on the Bus", and wondered if I could incorporate that song with some of the bus safety rules she was trying to teach her students. So, I used "The Wheels on the Bus" tune, and added additional lyrics to teach each bus safety rule. Stay tuned for additional songs from The Back to School Batch this week! 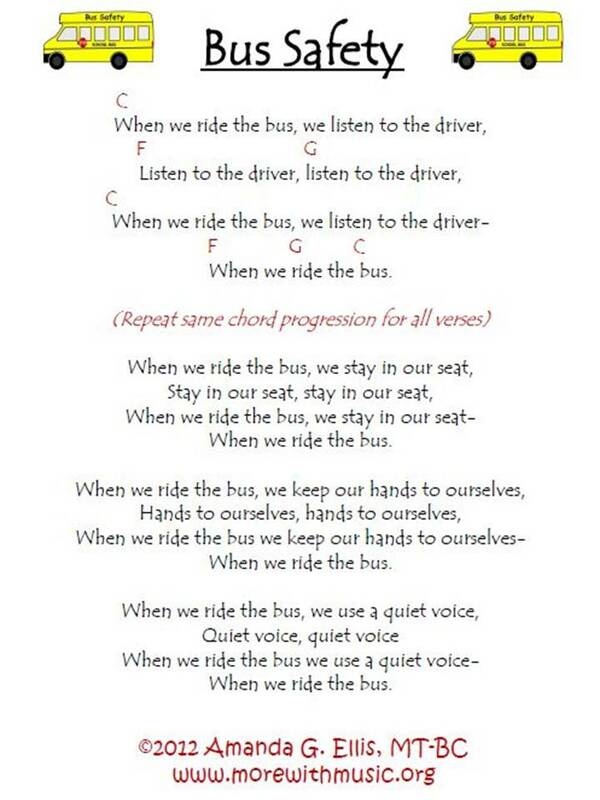 I will also be posting the song sheet for the Bus Safety song tomorrow. Yesterday I revealed another song added to the Back to School Batch album. If you missed it, you can find it here. 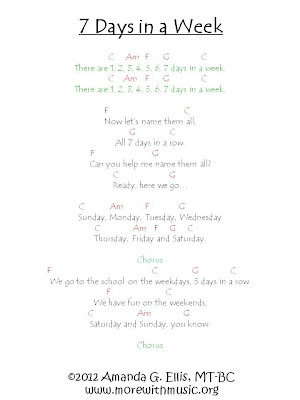 Today I am sharing the song sheet for the song, 7 Days in a Week. 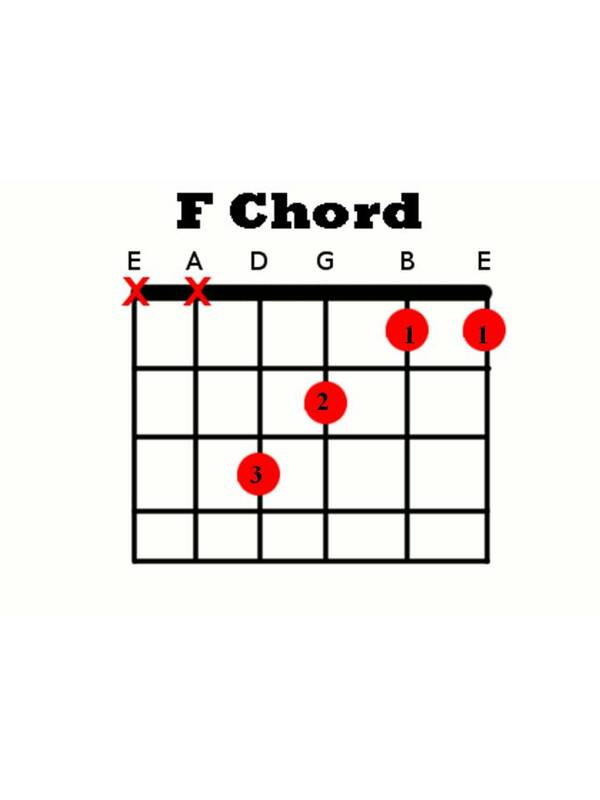 In case any of you are wondering, when you see the F chord on the song sheet, I am referring to "easy F" which I use all the time (I will admit that I dislike bar chords). 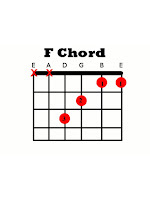 To play an "easy F" chord, look at the picture below and try it out! Stay tuned for additional song posts for the Back to School Batch! Today's post is another song to include in your Back to School Batch! I sing this song A LOT during the school year, and across all grade levels. It is played and sung in many circle times and morning group times across the county here. It is the 7 days in a week song. I love to model counting with my fingers to students right before we begin singing this song. 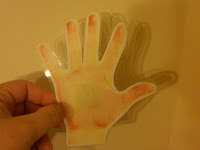 This way, they can count out the days visually with their fingers. 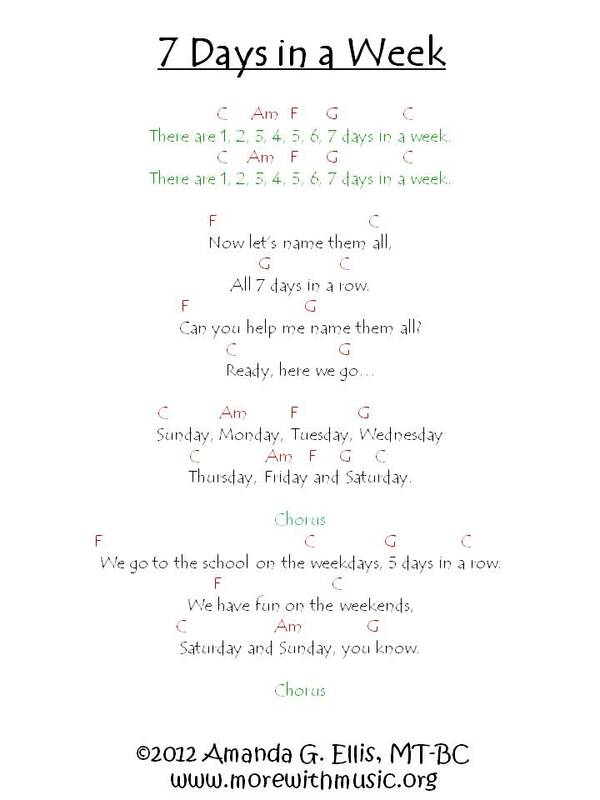 So without further delay, here is the 7 days in a week song. Don't forget that I'm taking song requests to be included in the Back to School Batch! What do you need a song for? What topics would be easier to teach if you had a song to support the topic or parts of the topic? Stay tuned for the 7 Days in a Week song sheet, as well as additional song posts as I continue to post more songs for the Back to School Batch! 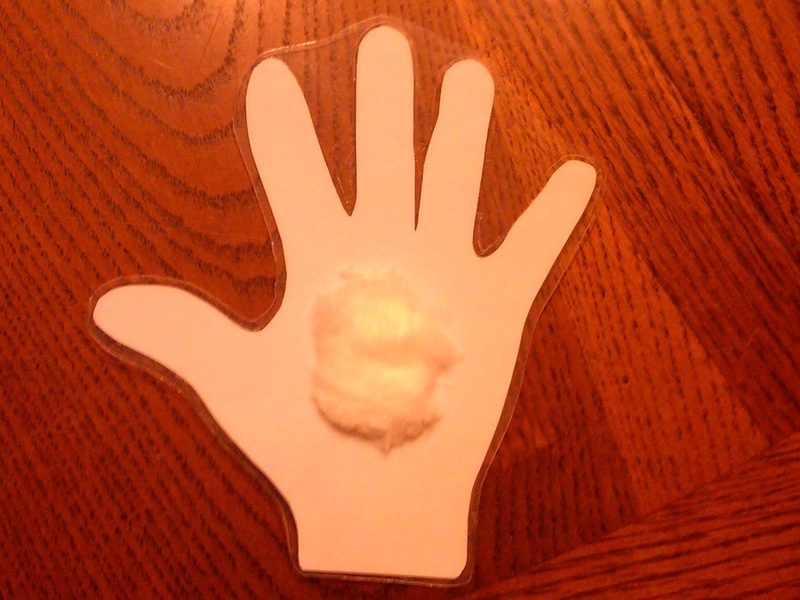 The song on the movie is "My Ears" and I wrote it for a classroom I'm working with who is learning about the 5 senses. In addition to writing the song, I wanted to have actual sounds that the students could relate to in their home and school environments. The students loved the sounds! Stay tuned later this week for the song, My Ears, which will be available for purchase for only $0.99! Today I'll be sharing another song about bugs. 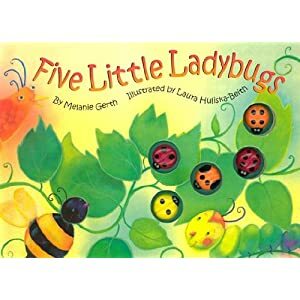 Earlier this week, I shared my song that goes along with the book, "5 little ladybugs". Today I'll be singing about many bugs. When I think of bugs in general, I think of bugs that crawl and bugs that fly. There are also bugs who can do both, which make them even more annoying to catch! So, for this song, I focused on bugs that crawl and bugs that fly. I kept the lyrics pretty simple and tried to stay with bugs that students are more likely to see and be exposed to in the great outdoors. As always, if you have additional song needs/requests for topics you are working on with students, I'd love to hear from you and work on a song for your needs. Email me at the above email address with your requests. The temperatures here are definitely warming up and I'm sure the humidity of summer is on its way! Last week I posted a song about April showers bring May flowers and talked about the showers associated with the spring season. Today I'm changing the focus to something else that returns in the spring---the bugs! So, this week I'm going to post several songs that I like to sing about various bugs. For my first song about bugs, I'm sharing the song below entitled 5 Little Ladybugs. This song goes along with the 5 little Ladybugs children's book written by Melanie Gerth and illustrated by Laura Huliska-Beith. As always, thanks for stopping by More with Music! Stay tuned for more song about bugs this week! Well, my 5 for 5 was almost complete until today. I just didn't have the time to get my next post online. It was one of those days where I had the post all lined up, song ready, good intentions,etc., but zero time to execute and get it online. So, be sure to check back Friday night, where I'll do a double post! :) You won't want to miss it! I hope it's been a great week for all of you! After a busy week, I'm very glad to see Friday evening! 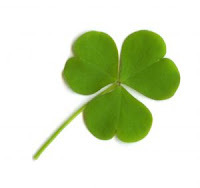 I've been posting about a variety of topics this week, and I have to admit-more variety is coming! :) I experience so many topics and themes during the workday, that I decided to share as I can and not worry about the randomness of it all. Tonight's post will feature a double song post, as promised! The topics are Space and Gravity. For a unit/theme about space, I like to start simple. The song below, Up, up to Space, briefly talks about the sun, the moon, and the stars. It is very basic and the main goal of the song is that the student learn that those three things are up in space. Many of the students I've worked with this past month have enjoyed pointing up high each time the chorus sings, "If we go up, up to space...". Students that cannot speak can also sing the chorus with the support of a voice output device. The second song is about Gravity. Gravity is a force and seems quite abstract to some students. My goals when writing this song about gravity were to: give students a better idea of what gravity is, explain what gravity does, and give examples of ways we normally experience gravity everyday. If you would like song sheets for either or both of these songs, simply send me an email to morewithmusic@gmail.com. Today's song post is about Safety Signs. When I wrote this song about Safety Signs, I thought about many students with special needs. Some of them drive, some of them don't. Some of them walk unassisted, some of them don't. So, I decided to pick 5 main safety signs that all students, whether they walk or drive independently, will most likely see around town everyday. I hope you'll take a moment to listen below. If you would like to request additional signs to be mentioned in this song, feel free to email me at morewithmusic@gmail.com with the additional signs you would like. If you would like a song sheet complete with lyrics and chords for this song, feel free to email me at the same address above. Here's another song for you! This one is fun,upbeat and addresses comparing numbers for math. Greater than, less than and equal to are all words we use when we compare numbers. I can remember drawing an alligator to help learn how to tell if one number was greater than another when I was in elementary school (just a few years ago). This song states the meaning of each separate sign we use when comparing numbers. It would be great to have picture cards of each separate sign and show them to students as the song plays. Another idea would be to have several cards made of each sign, and pass them out to your students. Play the song and as each sign is mentioned, those students have to hold up their cards (if they have that particular sign). I think it's a very upbeat song to introduce greater than, less than, and equal to for a group of students! What do you think? As always, thanks for stopping by! Be sure to come back tomorrow for another song! This week I'm starting another weekly topic post about different elements of a story. Today's song will focus on the setting of a story. A setting is a place (or time) where (or when) the story takes place. So, when I wrote this song, I wanted to mention that exact definition and try to give some examples along the way. The lyrics are posted below. This song is also available for purchase by pressing the "Buy" button below the song. All songs here on More with Music are only $0.99! Read the story to find the place or time. The setting of a story is a place or time, where or when the story takes place, that's right. The setting of a story is a place or time, where or when the story takes place, that's right! I'm excited to share another song today! The song is titled, Get ready to go. I collaborated with a teacher on this one. The teacher asked for help writing a song that she could use with her students (she teaches elementary students with autism), when they are getting ready to leave the classroom. Sometimes the class leaves to go to a special (music, art, PE, etc. ), and sometimes they leave the classroom to go to assemblies in the school, outside for recess, for a walk, or for field trips off campus too. So, I put all of those in a song and repeated each of them to give the teachers and assistants ample time to assist the students while the song was playing. The kids really like it and it helps keep everyone in the classroom (even the adults) aware of what needs to be checked before they leave the classroom. Every now and then, I receive an email from a More with Music reader who asks questions, and or suggests topics I should blog about here on More with Music. So, today's post is in response to a question from a reader. Last week, I received these questions: "How do you clean/sterilize your rhythm instruments? How often do you clean them and what products have you found to be easy to use, yet good at cleaning too?" Great questions! I'm sure we all have our own recommendations for cleaning rhythm instruments we use on a daily basis with students and clients. 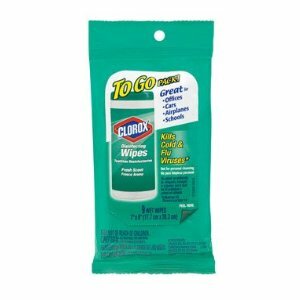 I personally recommend Chlorox wipes. They are easy to keep in the car or in a session room and they have a very fresh, but not overly perfumed scent. If an instrument comes in contact with any bodily fluid (i.e. snot, saliva, blood, etc..), I always clean it. Other instruments are cleaned biweekly (if I wait that long). I make sure to clean instruments more frequently when I'm aware of stomach bugs, viruses, colds, flu,etc.. going around. The picture above is of the coolest things I found at the store. They are Chlorox wipes made in a travel size! They are so convenient and fit right in my cart that I carry from school to school. I love them! I'd love to hear what others use to clean rhythm instruments and your opinions on products, methods of cleaning them, etc..
Stay tuned for a song post soon! Today I wanted to share a song that I've shared once before. I sing it this time of the year in many classrooms and it works great. Just in time for January 16th, I'm re-sharing my song "I had a Dream" to help celebrate Martin Luther King day. The best part-it's FREE to share! I hope all of you have a great Friday and enjoy the long weekend as well! Now that the holidays are over, everything is back in full swing. I've been busy writing songs, singing songs, designing visuals and the most important thing-seeing lots of cool kids! My last post (see below) briefly discussed a wait time and covered a couple of definitions of the concept itself. Today I want to post more about this topic and more specifically, how you can incorporate it within a music therapy session. A wait time is a therapy tool. As I wrote previously, a wait time is defined as "the duration of pauses separating utterances in a conversation, (i.e. the time a teacher waits after asking a question and after receiving a response)." Another definition I found online for wait time is "the amount of time that elapses between a tutor-initiated (teacher) question and the next verbal behavior (e.g., a student response)." Many students have wait times (sometimes written in specific increments of minutes), in their IEPs and it is important for the music therapist to ask and/or read the student's IEP to find out if this is true. A wait time gives the student time to process what was said (by therapist) and gives them time to respond (whether it is verbally, physically,etc..). Within a music therapy session, there are several ways to give appropriate wait time, while at the same time providing feedback and validating the students. I always keep in mind that each student is an individual, and what motivates one, may not always motivate another. 2. Make eye contact with the student whom you want to answer the question. 4. Watch the students' eyes. Look to see if they gaze at one choice longer than the others. If this happens, verbally validate it "I see you are looking at the maracas. Great job! Matthew wants to play the maracas!" 5. Verbally (and musically)provide feedback to the student while waiting for their answer. at their pictures to tell me what they want to play". Keep playing to support the student. Be patient. Strum in between verses, try decreasing tempo, and try to limit other distractions. What are your thoughts? Are there other ways you motivate students during a wait time? Feel free to leave additional comments below!